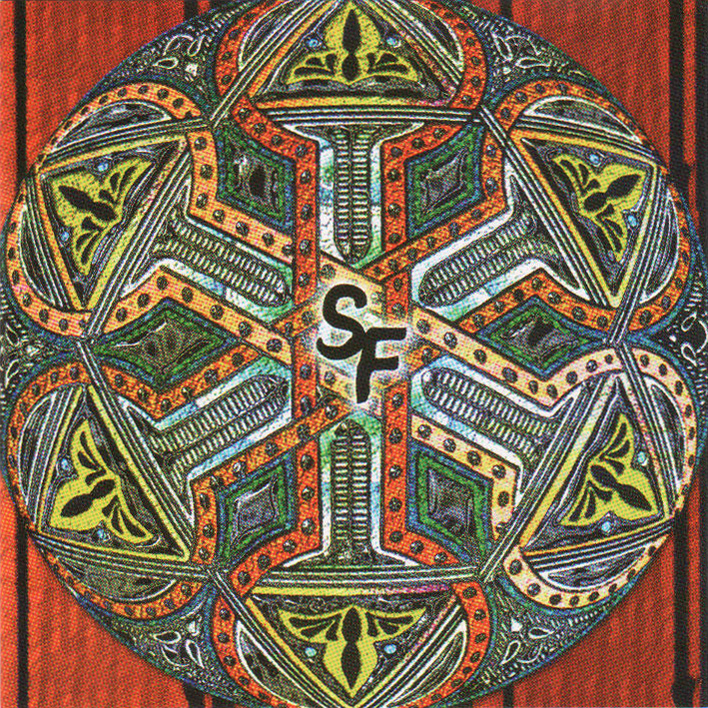 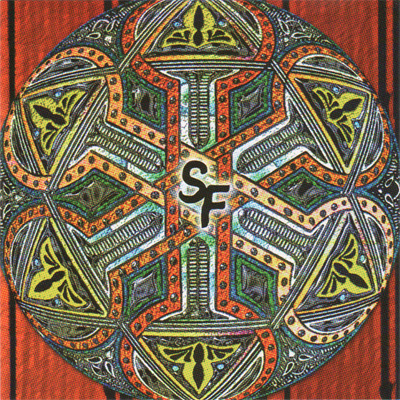 As should be obvious, this Sheep Fiend release from the “genre six pack” features more rock oriented tracks – including a freshly unearthed recording from my very first Sheep Fiend jam. 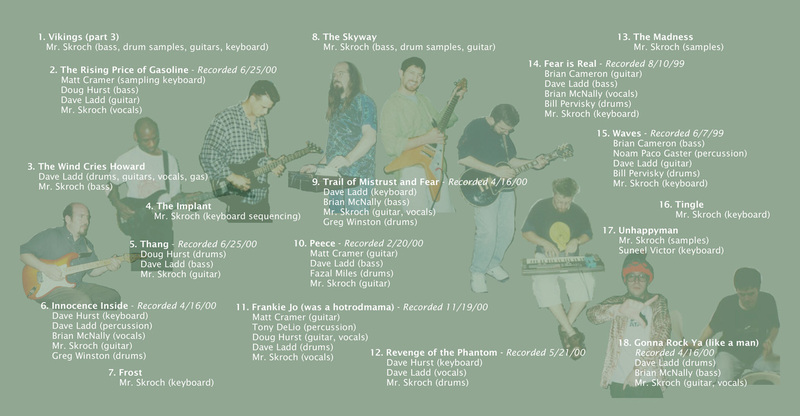 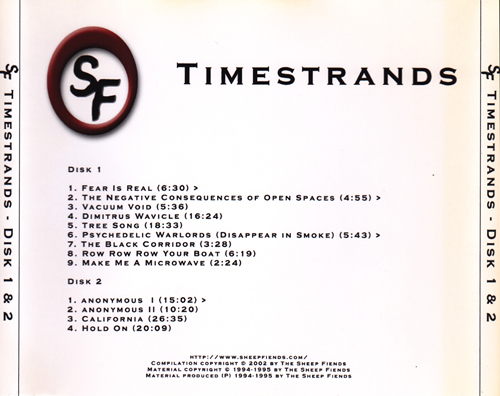 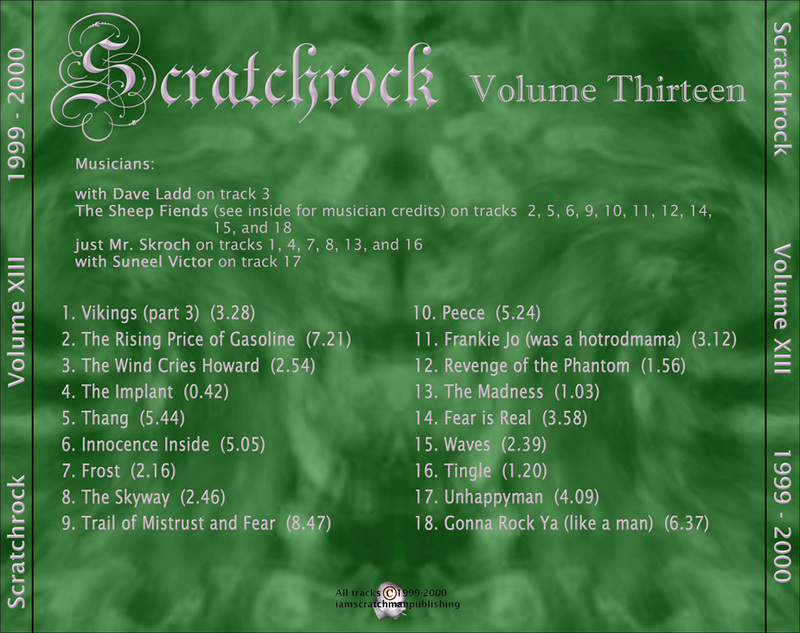 In 2001 Brian C. put together a nice six disc compilation of the Sheep Fiends first eight years or so of recordings; delineated by breaking the songs into specific genres. 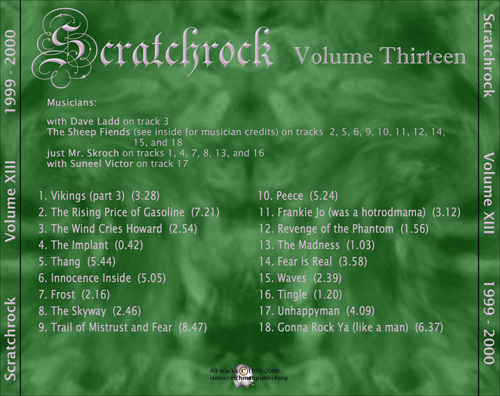 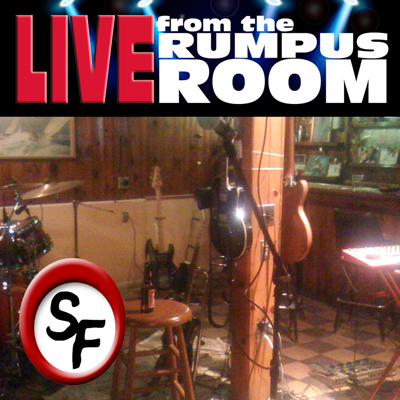 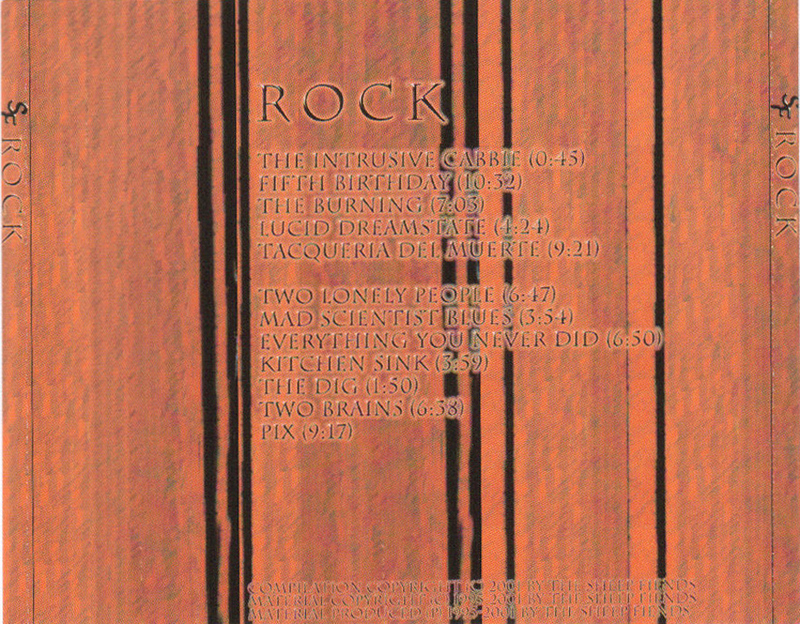 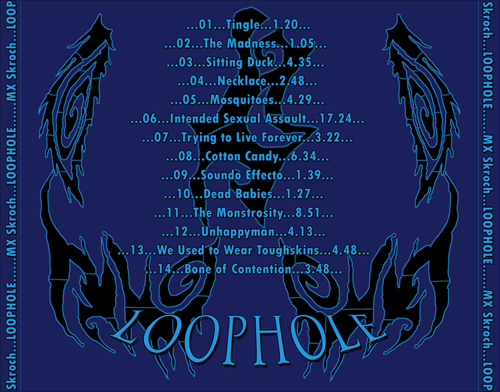 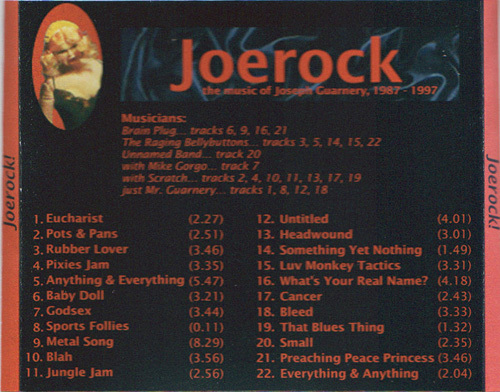 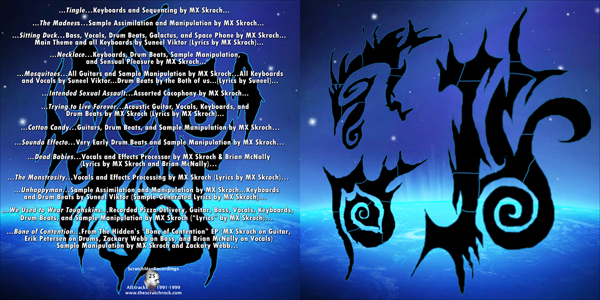 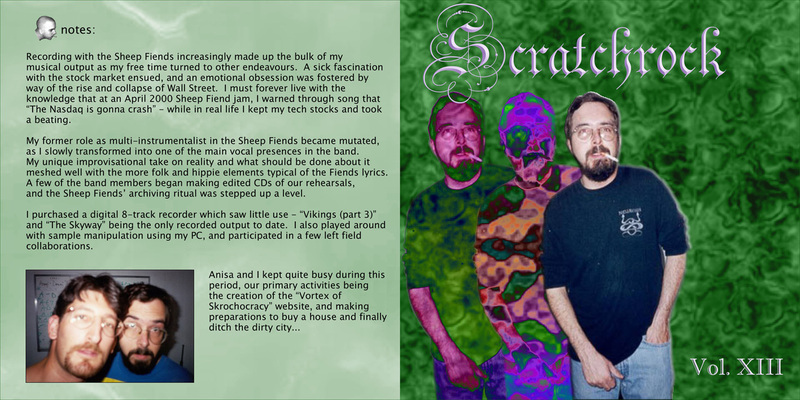 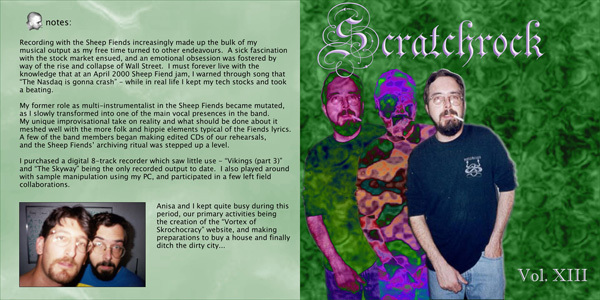 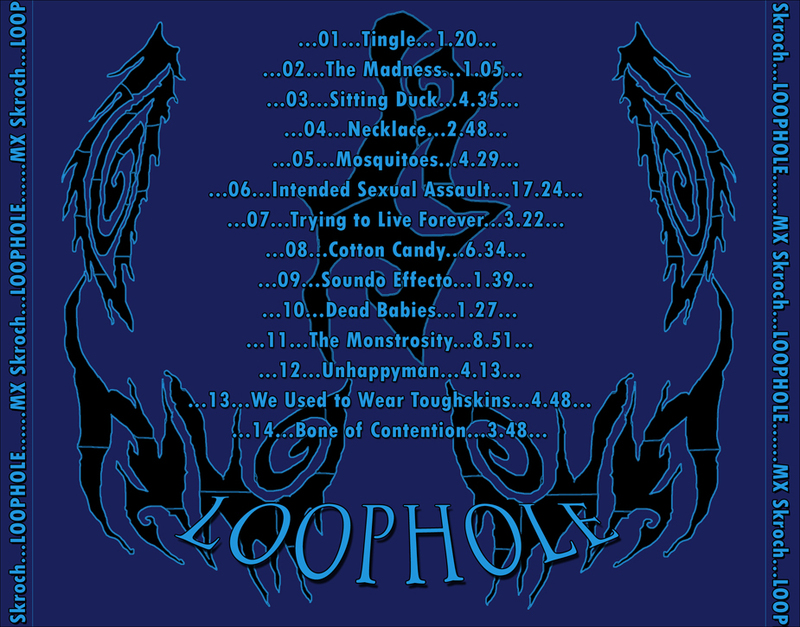 In addition to utilizing songs from previous Sheep Fiend albums these CDs also included some unreleased material. 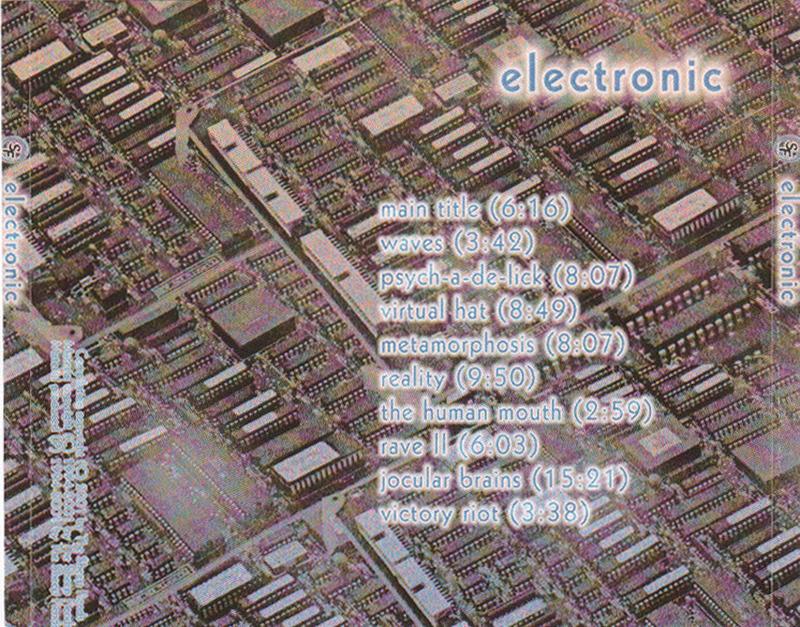 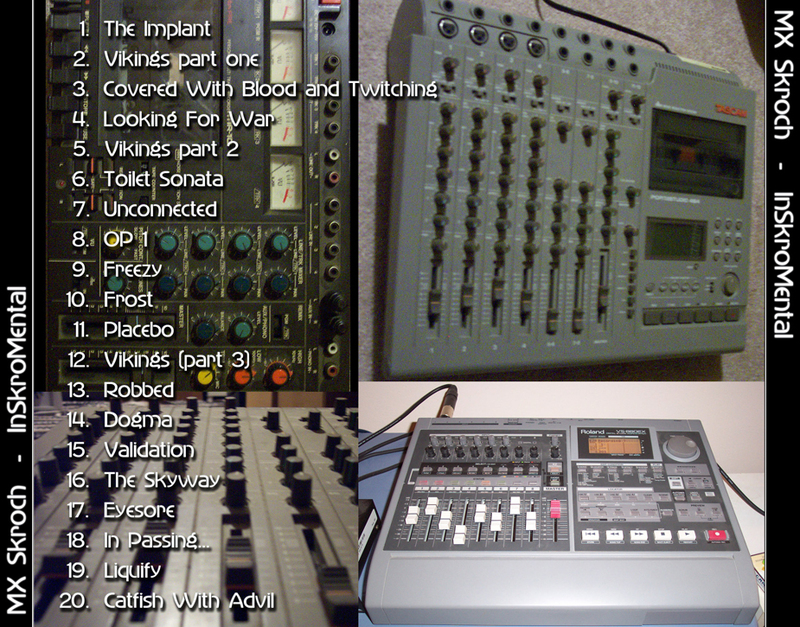 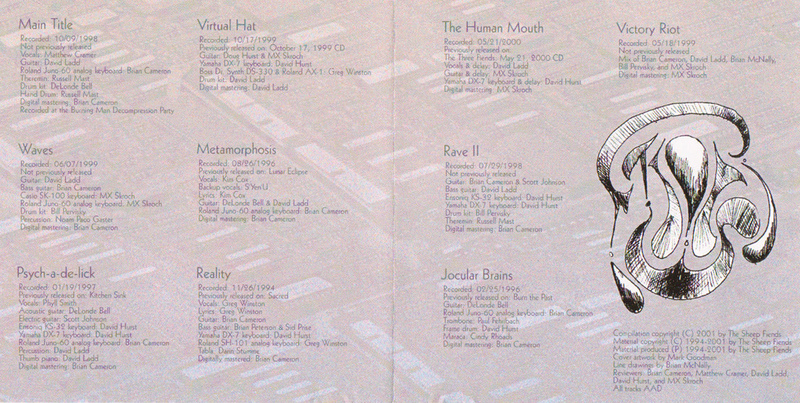 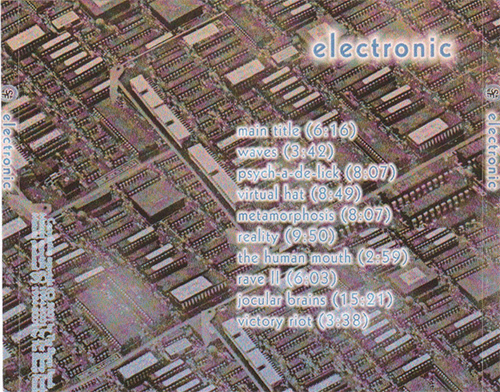 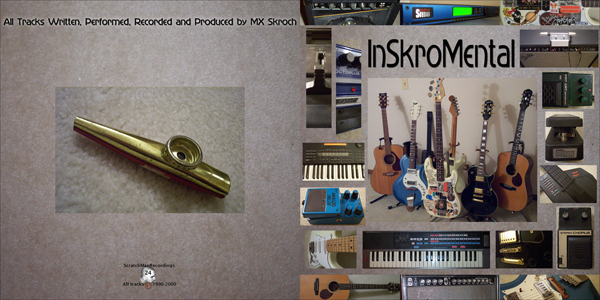 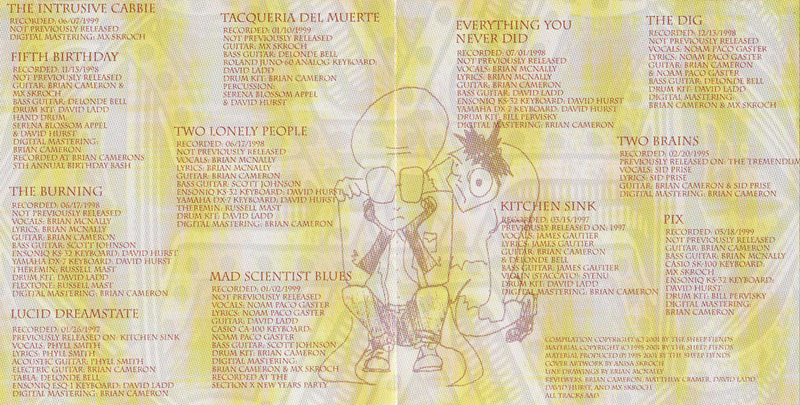 Both new tracks I appear on from “Electronic” were recorded during the Spring of 1999.